This Round diamond is 0.4 carat in weight, and comes with Excellent polish and Excellent symmetry, as verified from an independent gemological laboratory. The diamond is graded E in colour, and has a clarity grade of SI2. The diamond's GIA grading report number is 2237734052, which will detail further its specifications and measurements, and will also come with the purchase of the stone. AUD 1,510 Excl. Duties / Taxes. This Round diamond is 0.28 carat in weight, and comes with Excellent polish and Excellent symmetry, as verified from an independent gemological laboratory. The diamond is graded D in colour, and has a clarity grade of IF. The diamond's GIA grading report number is 6311432770, which will detail further its specifications and measurements, and will also come with the purchase of the stone. AUD 1,489 Excl. Duties / Taxes. This Round diamond is 0.28 carat in weight, and comes with Excellent polish and Excellent symmetry, as verified from an independent gemological laboratory. The diamond is graded D in colour, and has a clarity grade of IF. The diamond's GIA grading report number is 7308537695, which will detail further its specifications and measurements, and will also come with the purchase of the stone. AUD 19,651 Excl. Duties / Taxes. This Round diamond is 2 carat in weight, and comes with Very Good polish and Very Good symmetry, as verified from an independent gemological laboratory. The diamond is graded I in colour, and has a clarity grade of VVS2. The diamond's IGI grading report number is 332886626, which will detail further its specifications and measurements, and will also come with the purchase of the stone. AUD 1,497 Excl. Duties / Taxes. This Round diamond is 0.3 carat in weight, and comes with Excellent polish and Very Good symmetry, as verified from an independent gemological laboratory. The diamond is graded D in colour, and has a clarity grade of IF. The diamond's GIA grading report number is 6312361027, which will detail further its specifications and measurements, and will also come with the purchase of the stone. AUD 1,171 Excl. Duties / Taxes. This Round diamond is 0.3 carat in weight, and comes with Excellent polish and Very Good symmetry, as verified from an independent gemological laboratory. The diamond is graded E in colour, and has a clarity grade of VS2. The diamond's GIA grading report number is 1249911314, which will detail further its specifications and measurements, and will also come with the purchase of the stone. AUD 1,164 Excl. Duties / Taxes. This Round diamond is 0.3 carat in weight, and comes with Very Good polish and Very Good symmetry, as verified from an independent gemological laboratory. The diamond is graded F in colour, and has a clarity grade of VS2. The diamond's GIA grading report number is 7311624982, which will detail further its specifications and measurements, and will also come with the purchase of the stone. AUD 1,693 Excl. Duties / Taxes. This Round diamond is 0.32 carat in weight, and comes with Excellent polish and Excellent symmetry, as verified from an independent gemological laboratory. The diamond is graded D in colour, and has a clarity grade of IF. The diamond's GIA grading report number is 2316652115, which will detail further its specifications and measurements, and will also come with the purchase of the stone. This Round diamond is 0.33 carat in weight, and comes with Excellent polish and Excellent symmetry, as verified from an independent gemological laboratory. The diamond is graded F in colour, and has a clarity grade of VVS2. The diamond's GIA grading report number is 7308429578, which will detail further its specifications and measurements, and will also come with the purchase of the stone. This Round diamond is 0.4 carat in weight, and comes with Excellent polish and Excellent symmetry, as verified from an independent gemological laboratory. 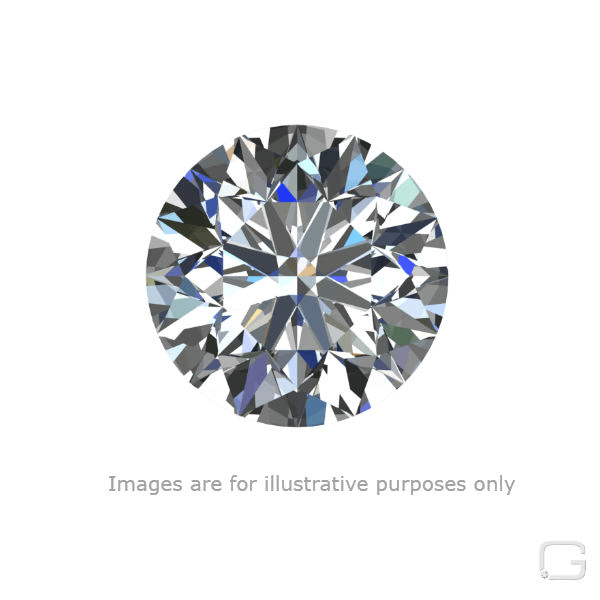 The diamond is graded G in colour, and has a clarity grade of SI1. The diamond's GIA grading report number is 6302049560, which will detail further its specifications and measurements, and will also come with the purchase of the stone.